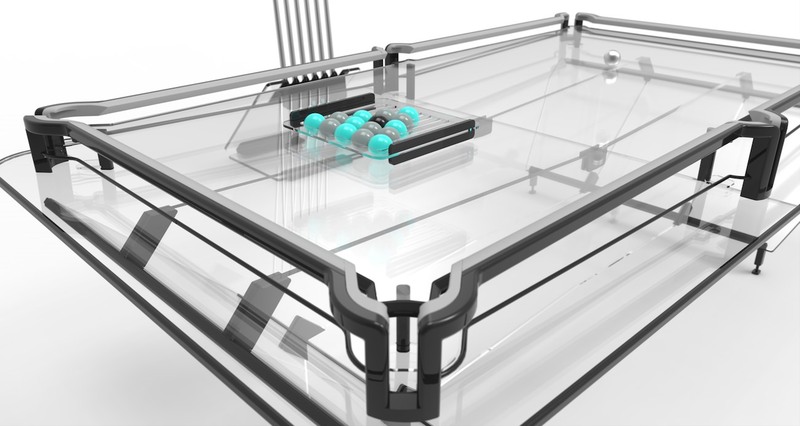 Now Reading : Elite X1 Everest: a full glass pool table that will surprise all your friends! Because Elite designers are full of great ideas, they love to turn them into reality and all their pool tables are carefully built and truly the most original in the world. Elite X1 Everest for example is truly unique with its amazing transparent design. 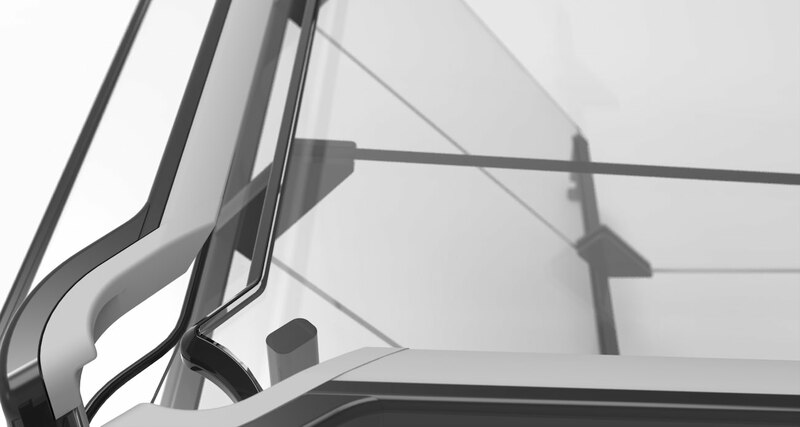 Each table like Elite X1 Everest is made with high-quality steel and aluminium, the very same metal used by Lamborghini for its wheels. Then, the glass is carefully cut with water jets so every table is carefully realised, in every form and details. Finally, the showing edges are polished in order to reveal no default, whatever the angle is. Literally, Elite X1 Everest seems to float in the air and more particularly the bowls that easily slide from one corner to the other. 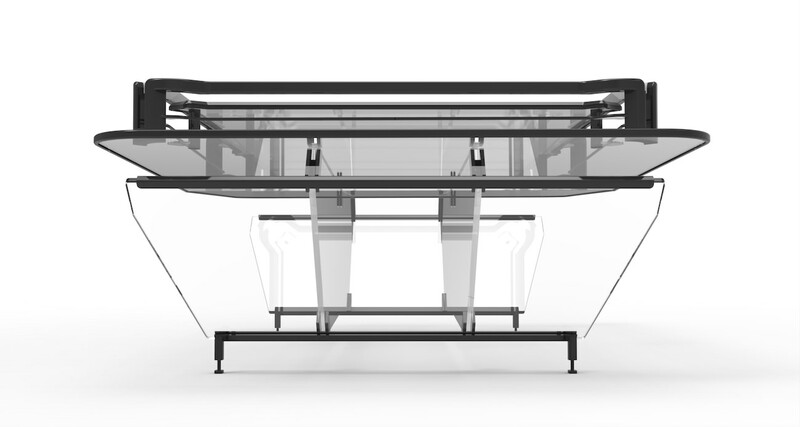 This table is so original that only four models will be produced within each calendar year. 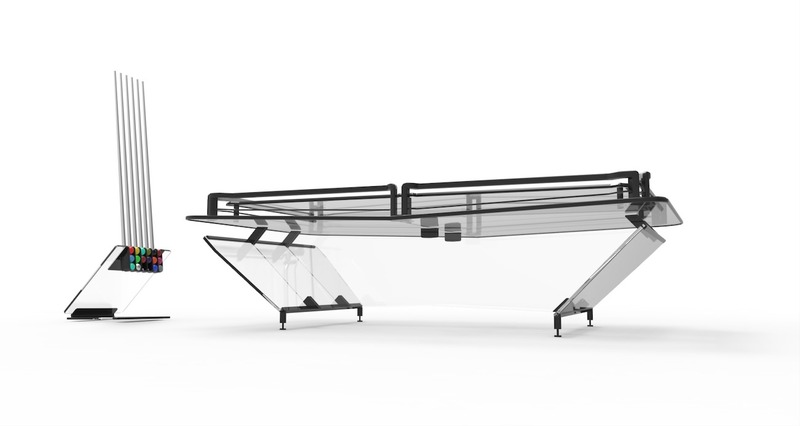 The table’s design is far from being Elite X1 Everest’s asset because it is sold with a remote RGB LED lighting system that will illuminate your entire playroom and surprise your guests. For these who desire to push the boundaries of originality, Elite’s designers have no limit but your imagination. Then you can choose chrome or 24K gold for the finishes. 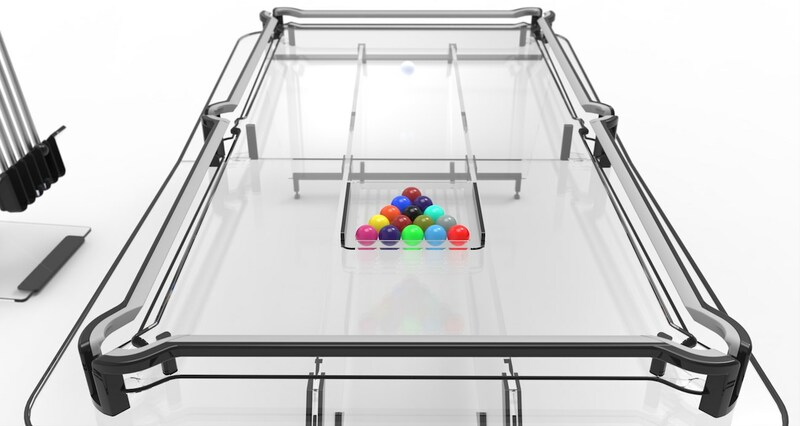 But Elite X1 Everest isn’t just a simple pool table. 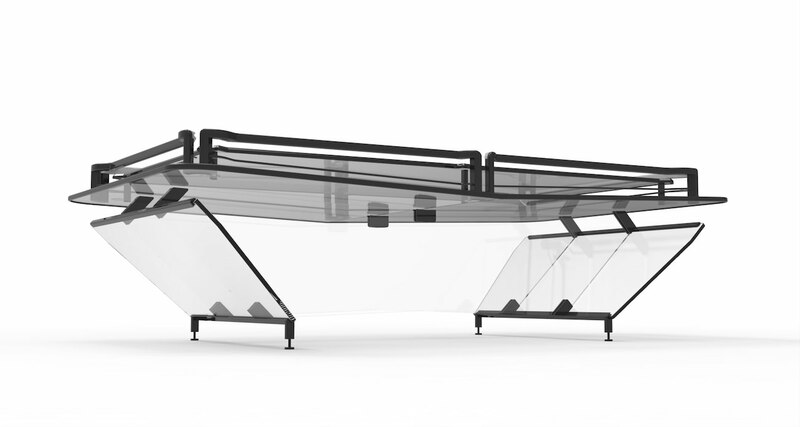 Indeed the three glass panels are easily removable and the table can be transformed into a dining table to set all your guests around astonishing furniture. 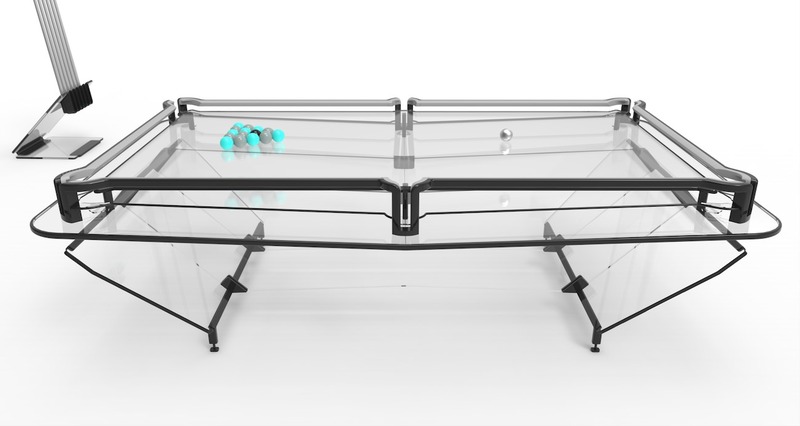 The table is also sold with a tennis table set to enjoy more game times. 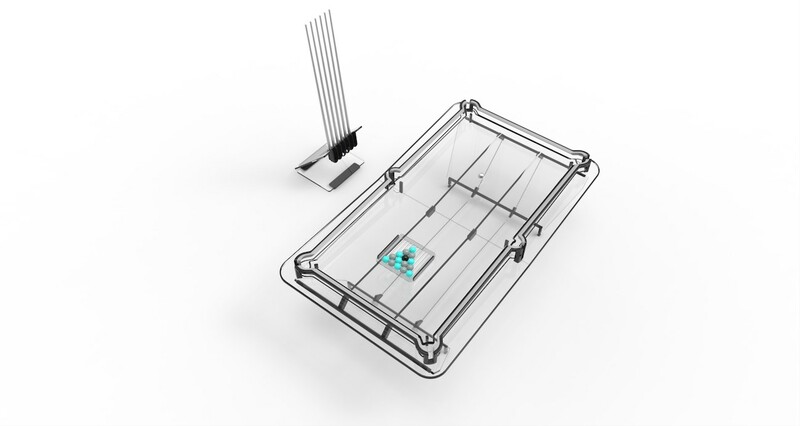 Concerning pool games the rack can be fixed on the wall to let a maximum of space in your room or on a freestanding design rack. 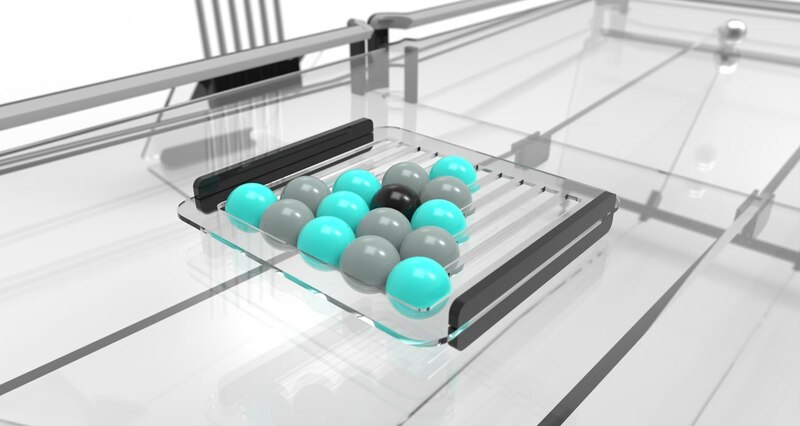 The Alytex aluminium cues from Palko have a bespoke and removing base with different weight that will allow every player to begin a game without any disadvantage. Then all the bowls are hand-polished with a matte finish and the cue ball is in brilliant chrome. Only Elite Innovations’ bowls can be used on Elite’s pool tables. Then the triangle that comes with Elite X1 Everest is also made with Plexiglas and aluminium and can be ordered in silver grey or black. Finally, if you buy Elite X1 Everest you will also help Elite Innovation who desires to improve our world by giving funds to two associations called Cancer Council SA and Save The Children Australia: indeed they will offer $1.400 for each table sold. 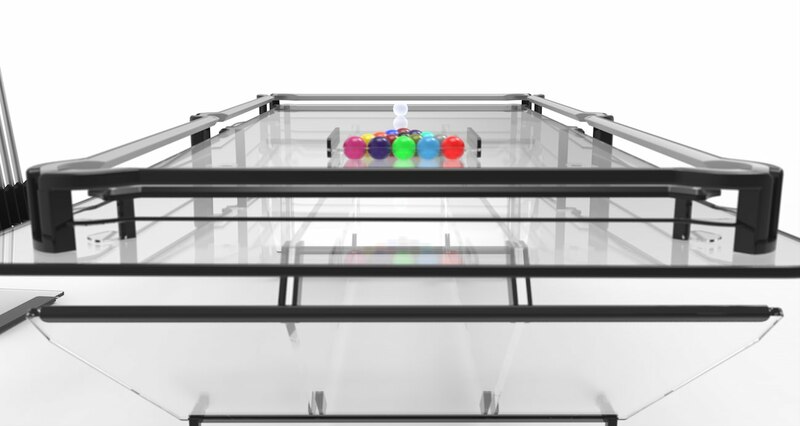 Share the post "Elite X1 Everest: a full glass pool table that will surprise all your friends!"